A real estate deal can take quite some time between permit to occupancy if you do not have the appropriate legal representation in dealing with zoning regulations and processes. Legal representation will expedite your plan while protecting your best interests. 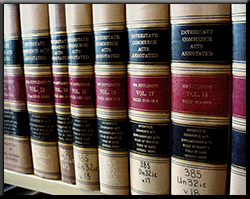 The law office of Frederick A. Costello is experienced in zoning matters. We will work on your behalf to offer the best in advice and representation in order for you to have your real estate project reach completion. We will handle any type of zoning issue and land use matter for you. Contact us for legal advice and representation in handling zoning regulations and processes.